It's probably because I have a baby again, someone who needs a structured schedule. Daylight savings always seems to cause a ruckus around here. It doesn't discriminate, messing only with the children, adults are affected too. It starts in the morning, waking, making coffee, thinking about breakfast. Then one of us realizes we have lost an hour in the night. It's now 8:00. Coffee is gulped and granola bars, usually for weekday emergencies, are considered. Panic ensues. We'll just go to late service instead, it's decided. We eat a real breakfast. I start to brown some pheasant that Todd got last week. I'll put it in the crockpot to cook while we are at church. Relaxing into some chores and piddling around the kitchen. I put the baby down for a nap. It's a weird kind of in between time, but he needs a little something before church. Todd is on the phone with a friend. They're talking about farm ground and some land that's for sale. What's it worth? How many tillable acres? How much in woods? Where and what size lake is possible? Suddenly, it's 10:00!! Everyone in the showers! Brush teeth! Comb hair! Shoes! Todd's still downstairs on the phone. He has lost track of time. We rush and run and rant (a little). Then we are loaded in the suburban and headed down the road. Later, some clocks say 1:30, some say 12:30. Either way, we are eating lunch. The baby needs to get a good afternoon nap to make up for the long blink nap he took earlier. I don't understand the purpose of daylight savings. It seems antiquated, but I don't know much about it. What I do know is that time change messes with my family and makes my days (for about the next week) weird and wonky and groggy. 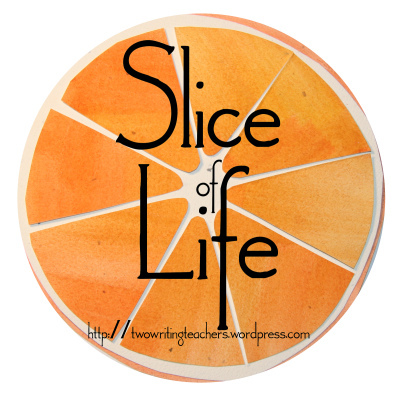 My post today was also about DST. You wouldn't think one hour would mess you up so much, but it does...especially with little ones. It's 6:00, I should start dinner, but no one is hungry because it feels like 5:00. Repeat again at bedtime..haha. :) We will like it once it's light until 10pm one of these days. 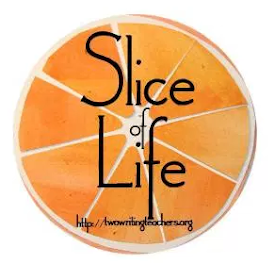 Love your voice in this piece: "We rush and run and rant (a little)." 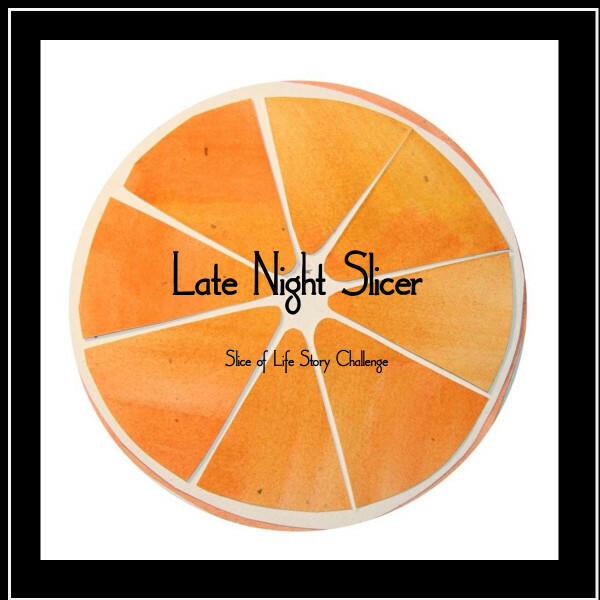 and these words: "What I do know is that time change messes with my family and makes my days (for about the next week) weird and wonky and groggy." It messes me up and I don't have children at home. Still need to change all the clocks. So far I only changed two of my clocks- one by my bed and one in the car. I DO NOT LIKE the time change either. I've written about it more than once, so I decided to skip that this time. I love your slice! It messes with us for at least 2 weeks! No matte rhow old (or young we are...). The franticness that is Daylight Savings was a well understood and felt by our family, too. Please leave a comment to let me know your thoughts. Subscribe with your email to get notifications when I post. 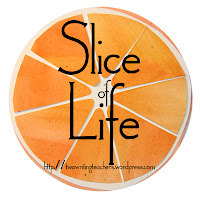 The Slice of Life Challenge is hosted by Two Writing Teachers. Interested? Click on the pic. We choose our own weather, even in the rain.